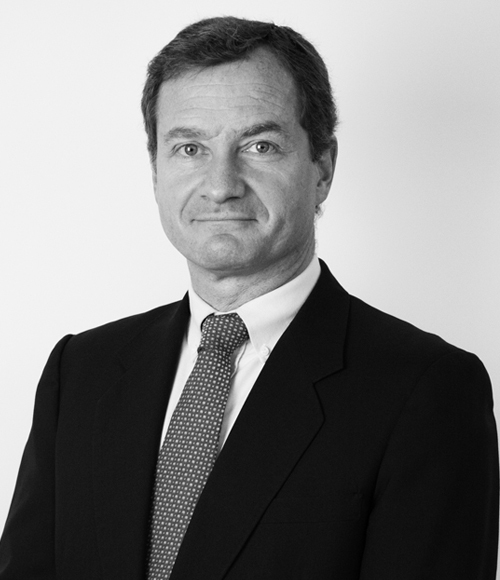 Partner of Carey and co-head of the firm´s Natural Resources and Environment Group. His practice focuses on natural resources, mining, water rights, energy, environment, surface lands, project financing, and corporate and commercial law. Teck Resources on the acquisition of an additional 13.5% participation of Compañía Minera Teck Quebrada Blanca (QB) through the purchase of Inversiones Mineras, a private Chilean company part of the Hurtado group. The acquisition leaves Teck with a 90% of participation in QB, and ENAMI, a Chilean state-owned company, with a 10% preferential participation. Kinross on the corporate restructuring of its mining assets, on strategies referring to relocation of easements, and on legal implications related to the possible exploitation of new orebodies close to Copiapó. Several Chilean companies of foreign capital on advice regarding the sanctioning process for environmental violations before the Superintendence of Environment and the Environmental Court. Several Chilean companies of foreign capital on the process related to the closing of mines. Minera Valle Central on the financing of the construction and expansion of its plant for the processing, exploitation, extraction and transport of tailings on lands owned by División El Teniente from Codelco, located in the VI region of Chile, for USD64 million approx. Codelco on the judicial constitution of mining easement for its copper project Radomiro Tomic in the north of Chile. KGHM on the acquisition of Quadra FNX Mining, a listed Canadian company, for approx. USD2.87 billion. Quantum Pacific Exploration (QPX) on an agreement with an international mining company to finance an exploration program in northern Chile. Recognized in Mining and Projects, Chambers Latin America. Recognized in Mining, Projects and Infrastructure, The Legal 500. Recognized in Mining & Metals, Latin Lawyer 250. Recognized as Most Highly Regarded Individual in Mining, Energy, Project Financing and in Thought Leaders: Global Elite, Who’s Who Legal. Elected Best Undergraduate Professor Award, Law School, Universidad de Chile. Lawyer of the Year Award in Energy (2015) and Natural Resources, Best Lawyers (2014, 2016 and 2019). Recognized in Natural Resources; Environmental; Energy, Mining and Project Finance and Development, Best Lawyers. Winner in the Natural Resources: Mining Category, Leading Lawyers, Idealis (2013 and 2015). At-Large Council Member representative for Latin America, Inter-Pacific Bar Association (IPBA) (2017-2019). Trustee-at-Large, Rocky Mountain Mineral Law Foundation (2012-2015). Member of the board, Chilean Bar Association (2006-2011). Professor of Mining Law, Universidad de los Andes (since 2003). Professor of Mining Law, Universidad de Chile (since 1996). Visiting Professor in several graduate studies and Master Degree Programs on Natural Resources Law at several Chilean Universities. Member of the panel of arbitrators, Arbitration Center of the Chamber of Commerce of Santiago. Member of the Legal Committee of the National Mining Association (SONAMI). Member of the Inter-Pacific Bar Association (IPBA). Member of the Prospectors & Developers Association of Canada (PDAC). Secretary of the Association of Latin American Mining Lawyers (AMLA). Member of the Red Interamericana de Especialistas en Legislación Ambiental (RIELA). Author of several legal publications, including the Chilean chapter on Mining, Getting the Deal Through (2010-2013). Special courses on mining law for judges and members of the Courts of Appeals, organized by the Judiciary Academy of Chile. Presented papers on Chilean mining, energy, natural resources regulations and environment at numerous seminars, both in Chile and abroad. Academy of American and International Law, Southwestern Legal Foundation, Dallas (USA) (1993). Program of Instruction for Lawyers, Harvard University (1997).